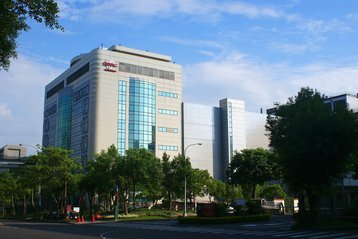 Taiwan Semiconductor Manufacturing Company (TSMC) was forced to shut down a number of its factories over the weekend after a virus infected computer systems and fab tools. TSMC is the world’s largest dedicated pure-play semiconductor foundry, manufacturing chips for companies including Xilinx, Nvidia, Qualcomm and AMD. TSMC stressed that no data was compromised. In a press conference, the company added that the new software tool wasn’t isolated or checked to be virus-free. It was then connected to the network, spreading a WannaCry variant that infected systems running unpatched Windows 7, causing continuous reboots. The same type of ransomware was making the headlines last year, after taking a number of services offline - including public sector organizations in Europe and the US. In a statement, the company said that it “expects this incident to cause shipment delays and additional costs. We estimate the impact to third quarter revenue to be about three percent, and impact to gross margin to be about one percentage point.” The Financial Times notes that the company previously estimated third quarter revenue of $8.45bn-8.55bn, suggesting the incident cost it $255 million. TSMC does, however, expect to recover delayed shipments in the fourth quarter.